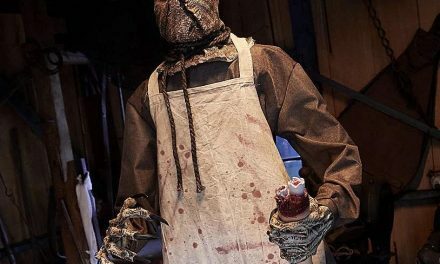 We told you back in June that Halloween Express would be rolling out a Scorched Scarecrow Prop this year and now he is finally here. 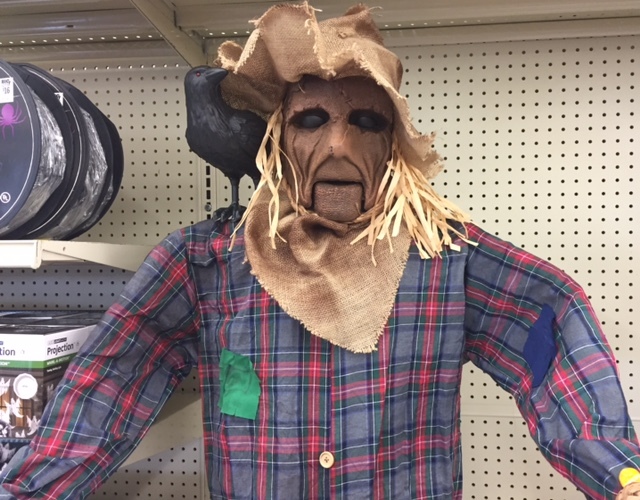 I was strolling through my local Halloween Express this afternoon and ran across the Scorched Scarecrow for the first time. Here’s a video showing what the big scary scarecrow is all about. The Scorched Scarecrow has three sayings he repeats when activated. I have to admit, I wasn’t a big fan of the prop when I first saw it back in June. I thought it looked a little silly from the pictures and video I saw. But up close it is a different story. The Scorched Scarecrow is big, nasty and very imposing. He checks a lot of the boxes I require for owning a prop. I don’t own any scarecrow props but after seeing the Scorched Scarecrow up close I’m thinking about adding him to my collection. The best thing about the scarecrow is his creepy pumpkin head. The pumpkin looks like it’s smouldering and has a very cool, distinctive look. His eyes and chest flash with light giving off the look that he’s on fire inside. 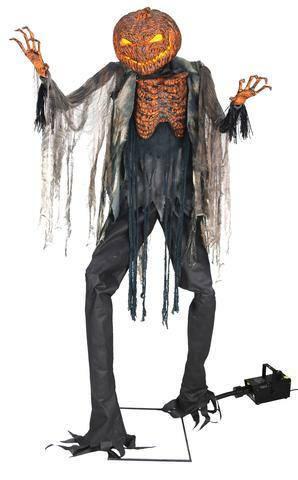 The Scorched Scarecrow’s over 6.5 feet tall and comes across as very intimidating which is a good thing if you want to creep out the guests at your Halloween party. The thing that bothers me the most about the Scorched Scarecrow is it’s price point. I think $249 is too much for the prop. I think that with all the animated props out there to choose from the scarecrow may not be as popular as other new animatronics this year and he will sit around Halloween Express’ until he is marked down. Halloween Express has sent out emails offering 28% off of their items online but it doesn’t apply to items in their stores. You could get $65 off of the scarecrow with the coupon making him around $180. However, you still have to pay an additional $25 for shipping so you are close to where you started and really only save $40. 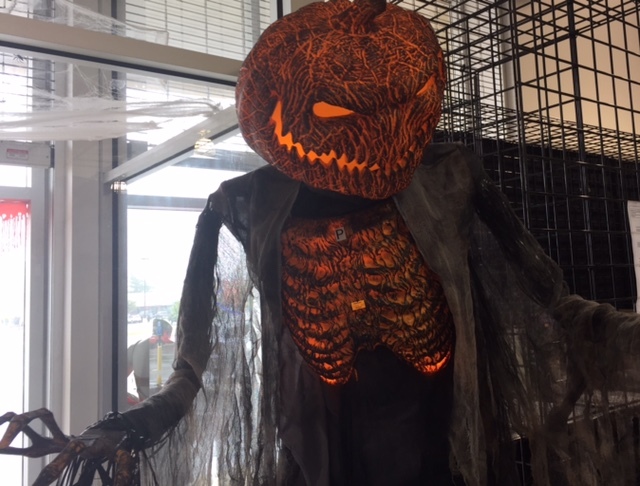 $249 is a lot of money for a prop and I think that it’s best to wait and see if stores start to mark the Scorched Scarecrow down closer to Halloween. If you can hold off until after Halloween you might be able to get the scarecrow for $100 or less. Ultimately it’s up to you and our family as to whether or not you want to pull the trigger and bring him home, and for what price. 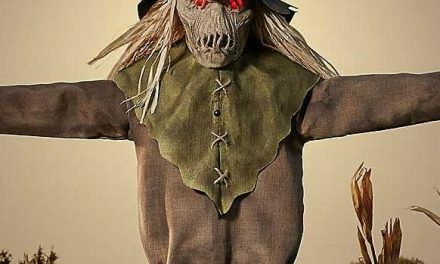 The Scorched Scarecrow is a pretty cool prop if you have the money to spend for him.